Hope you had a good NYE and don’t feel too worse for wear this morning. 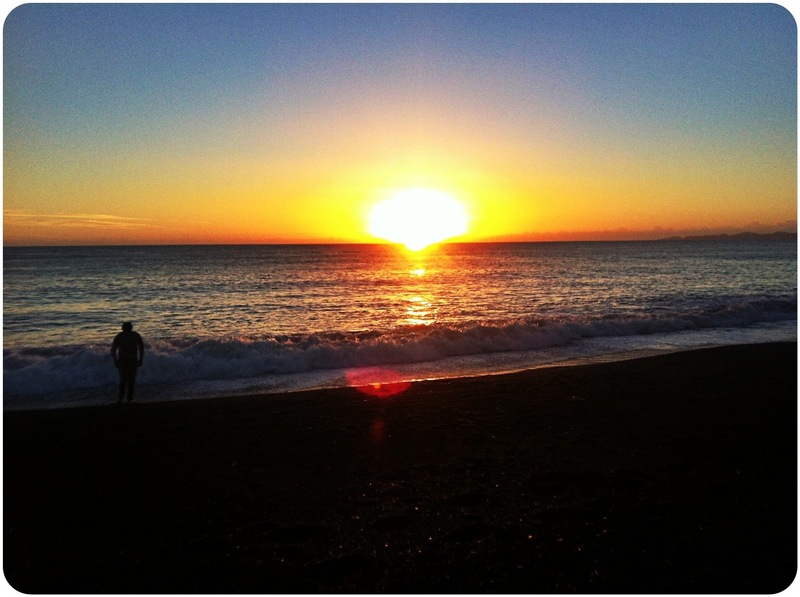 We were up early to check out the sunrise – Napier’s one of the first places in the world to see the sun. It was nice. There were “awwww”s and “ooooooh”s as appropriate, then we all clambered back into bed. It worked well. No run today – just taking things nice and easy. We’ve only just welcomed in the New Year! Wishing you all the best for 2014! Oh, thank you for that photo! I really needed to see that right now! It reminds me of the quote from the movie Cast Away.. “You just have to keep on breathing because tomorrow the sun will rise and who knows what the tide will bring.” We have not rung in the New Year just yet, but you have given me a hope for a bright tomorrow! Thank you! I wish the best for you and your family in 2014! I’ve still got 6 hours left of 2013! Happy New Year to you!